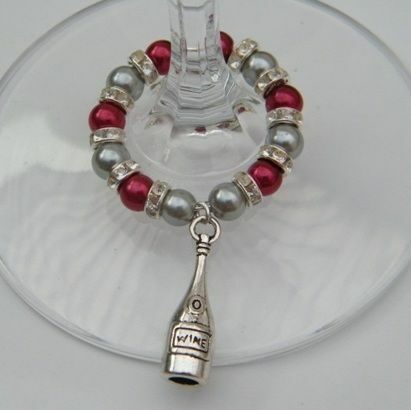 Wine Bottle Wine Glass Charm - Full Sparkle Style, available in different colours. Add a Beautiful touch of sparkle to your Wine Glasses! Gorgeous Gift Idea. Stunning Full Sparkle Style Wine Glass Charm, featuring Beautiful Rhinestone Sparkle Spacers as part of the design. Add a gorgeous touch of Sparkle to any glass! 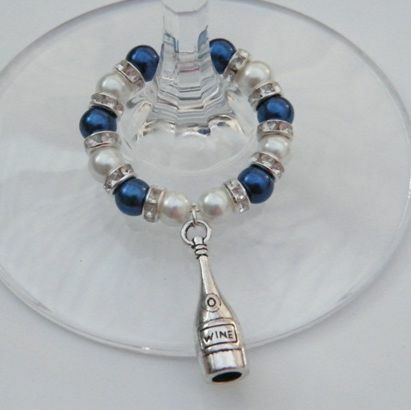 Beautiful accessories for your Wine Glasses! 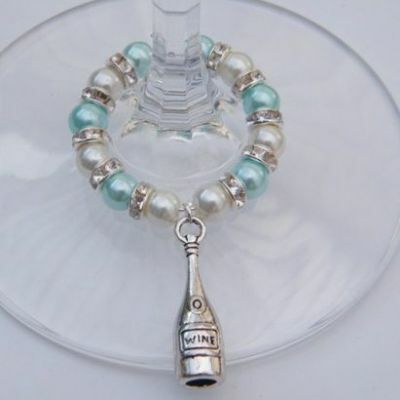 All our Full Sparkle Style Wine Glass Charms are Handmade to order by Retro Wishes in the UK.